"My experience with Fascial Stretch Therapy and Chiropractic Care was one of the best experiences I have ever had. Before I came to be treated by Dr. John, I could barely move, walk, stand, and dance and in just one month, I finally felt like myself again. After being without dance for about 4 months, my FST and Chiropractic treatment was exactly what I needed to get back to doing what I love. Of course, sometimes the sessions were painful, but I knew it would be worth it in the end and I was right"..... Ciera E. - Ballet Dancer, Las Vegas, NV. "Dr. John.....Just wanted to let you know that my hip feels amazing today! After three weeks of pain, I was skeptical that the pain would be gone so quickly - but I am more than happy to have been wrong on this one. I have nothing but positive things to say about you and the care I received. I guess I have no excuse so I'll have to get back to work at the gym with Nick and Tierra!.....Thanks again, Genet C. - Las Vegas, Feb. 2013"
"JOHN!! Thank you so much for working your dancing magic on me before the race. You were so generous with your skills & time. I was feeling pretty tight and stressed after several days of transit and two months of high intensive training. Having never experienced stretch therapy before i was hugely surprised with the difference to my body after you worked on one side of my body. After a full session I felt significantly looser and physically prepared to take on my biggest challenge to date. Any chance on you moving to Australia?! Big big appreciation." - Samantha Gash, Ultra- Runner Australia,Finisher La Ultra - The High. First female and youngest person ever to complete RacingthePlanet Desert Series of ultra-marathons braving incredibly challenging conditions in the Atacama Desert (Chile), the Sahara Desert (Egypt), the Gobi Desert (China) and Antarctica. "Thank You So much for what you did -90 per cent of my pain and tightness is gone. You are right my body still has those protective urges....I was like a colt, my legs were all over the place Saturday. It had been so long that I had moved pain free..my legs did not know what to do- will work on my speed and health, Thank You DR V." - George Velasco - California. "Dr. John is the best!!!! While training for my first marathon I injured my leg. I was not sure what my exact injury was, but all I knew was that it hurt a great deal when I ran, so I stopped running to let it heal. After 3 weeks I just couldn't take it any more, I needed to get back to running. Two of my friends referred me to Dr. John, and I quickly made an appointment with him. I spent about an hour with Dr. John. He figured out what exactly what was going on with my leg (sprained/stressed muscle fibers), then he worked his magic. He not only massaged and stretched the lower leg muscles, but he gave me a full fascial stretch; which felt fantastic. He also explained to me everything that he was doing and why. Plus he recommended to me what to do at home to prevent this type of injury from happening again. The best part is that later that same day I was able to run again without pain or discomfort. Just a little over a week after seeing him I ran 10 miles and got back to marathon training. Dr John is great at what he does and I highly recommend him. My only regret is that I didn't find out about him sooner." - Koryn G. - Henderson, NV. "As an athlete and dancer I have been looking for someone who would take the time to listen and understand my injuries. Dr. John's knowledge of the body and his true concern for his patients is remarkable. His stretch therapy got me through heavy training for my first marathon, as well as to complete the event feeling great. As a dancer I have a history of injuries as well as some aches and pains. Dr. John has taken the time to help realign my body and relieve the pain associated with years of dancing. I have been searching for a doctor to recommend to other dancers and I have finally found him! Thanks Dr. John!" - July 2010 to current. Karen T. - Henderson, NV. "I was experiencing chronic neck pain, nothing that i did would re leave it. I tried heat, ice, massage, and chiropractic care. Remembering that Dr. John had studied a new stretch modality i thought i would try a session with him. His technique involves non evasive stretching. It worked! it cut my neck pain in half the first session. Do to the severity of my injury it took 3 sessions to bring my pain down to about 10%. I highly recommend him and his style of healing to any one with any kind of pain." - Terrian H. - Las Vegas, NV. "After running 131 miles at the Badwater Ultramarathon, I had a few problem area's and issues with my body when I returned home. I was leaning to the left, had a sore Achilles tendon, and sore ankles, not to mention a fatigued body! When I came to you I was a little nervous about you even touching my sore body parts! I found that you have a real gift of healing. Your techniques are wonderful. At the first visit, I was delighted that the treatment was pain free and gave me immediate relief. It is the best chiropractic visit I have ever experienced. It's great that you understand sports injuries. I am sending all my family and friends to you for treatment." - Molly Sheridan - 2009 Badwater Finisher. "Earlier this year I was experiencing back pain due to an unscheduled dismount (as Dr. John would call it) from my bicycle. I sought Dr John out after seeing my physician and going to a massage therapist. After the first visit with Dr John there was a noticeable improvement. I must also recommend the stretch therapy. I am a runner and typically run 45-50+ miles a week. Stretching is very important to keep me going and the stretch therapy is out of this world. Dr John has a very good bedside manner and will make anyone feel comfortable. You will not go wrong with Dr John." - Tim D. - Las Vegas, NV. "John has done a fantastic job of getting all my muscles to activate. I never knew that muscles would just shut down for extended periods of time like they did for me after the Headlands 50 mile trail run. He has an uncanny ability to find those problem areas for the athlete and correct them for the long haul. Thanks to him I was able to get back into training very quickly to prepare for my next 100 mile race. 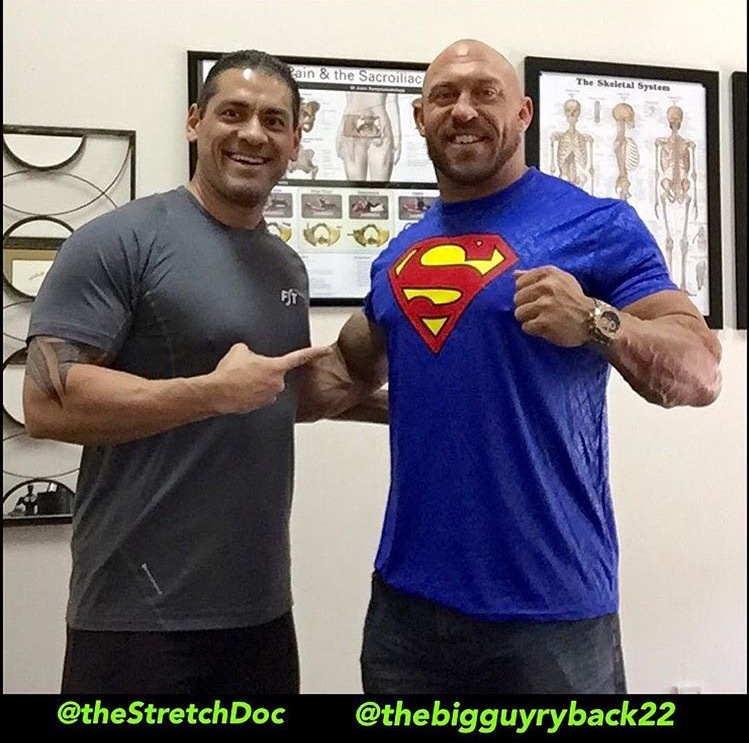 I always recommend my friends and clients to Dr. Vigil, especially the athletes." - Jimmy Gabany Running Coach. 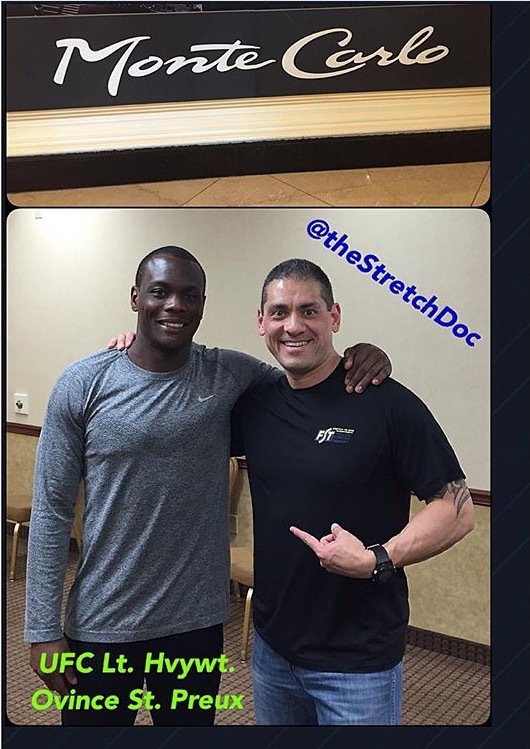 "As one of my triathlon coaches for Team in Training, Dr. John was extremely helpful in giving us stretching and other techniques for training as well as performing fascial stretch therapy on my upper and lower extremities. I had never heard of this technique before, but all I can say is that is amazing how great you feel afterwards your body is actually slightly lengthened as a result of this therapy. I recently hurt my leg while running and made an appointment with Dr. John. I came in limping and in pain. He identified the popliteus muscle injury on the first visit, performed manipulations and massages on that trigger point, and the pain was substantially better by the time I left his office. Dr. John is not only knowledgeable in sports injuries and therapy, he sets an example for his patients and practices what he preaches as an active athlete himself. I would highly recommend Dr. John Vigil to anyone. " - Cathrine D. - Las Vegas, NV. "I have been treated by Dr. Vigil on many occasions. I am, not only a patient, but a colleague of Dr. Vigil. I will tell you that he will be straight forward with his assessment and will apply his vast knowledge of sports related injuries to help you with a quick recovery. If results are what you desire, then give Discover Stretch and Sports Therapy a call. From acute injuries to chronic/nagging complaints, Dr. Vigil will provide complete manual therapy to address not only the symptom, but the cause as well." - Dr.John Tuggle, DC. Cedar Park, TX.